Slate and tile roof installations have lasted for centuries, giving excellent long-term value. Everlast continues to provide the highest quality installation and level of workmanship / expertise in slate and tile installations. Over the years we have completed numerous slating and tile roof installations including large high profile commercial jobs. 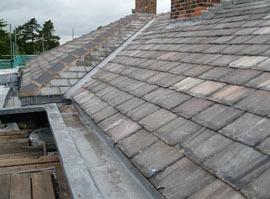 In addition to our slate & tile roof services, we also undertake ancillary work to these types of roofs. Everlast ensures that all its installations are undertaken by skilled craftsmen ensuring attention to detail, all of our professional roofers have completed the appropriate training and continue to undertake professional training which ensures they are up to date on the latest industry advances.